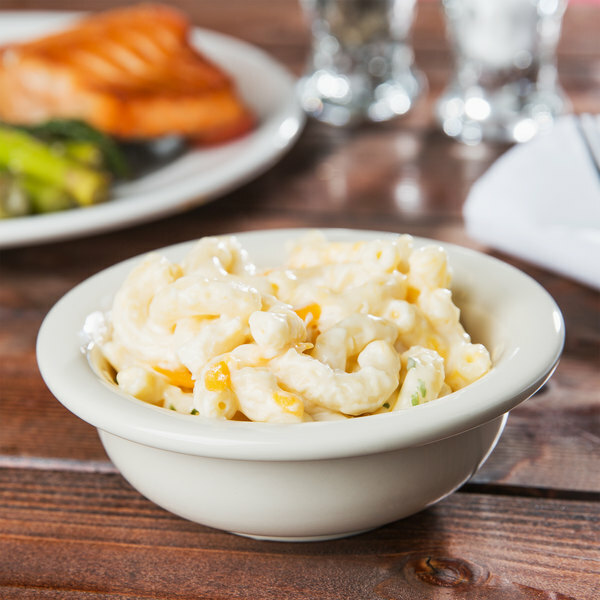 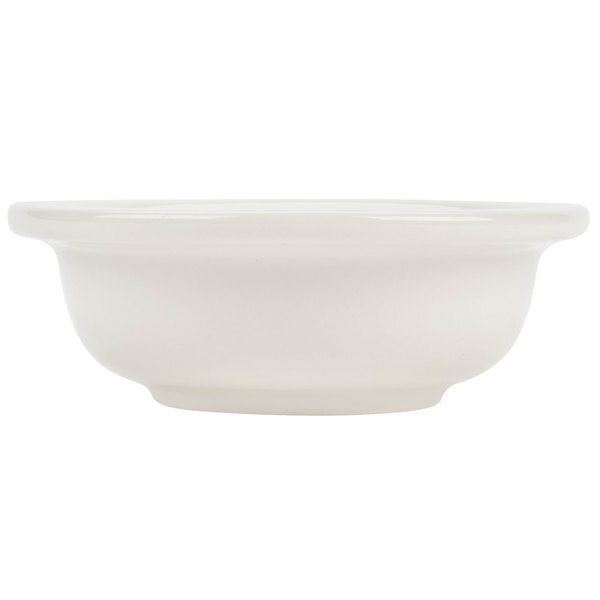 Bake and serve your most popular comfort foods like pot pie, mashed potatoes, or creamy mac-n-cheese in the Hall China 3900AWHA ivory (american white) 5.5 oz. 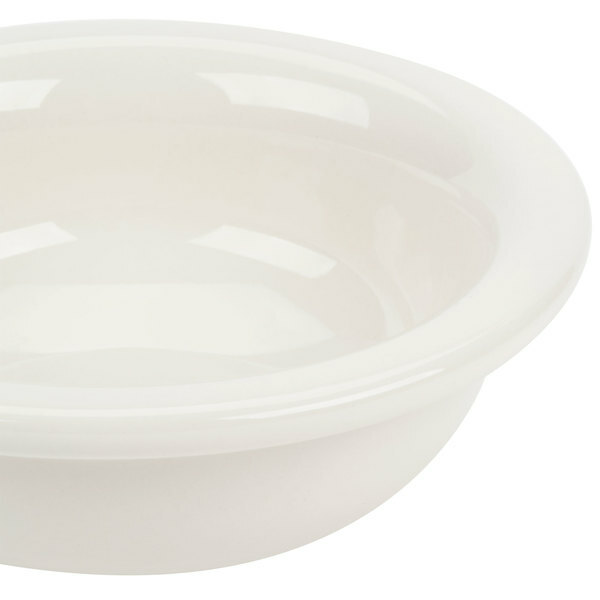 baking bowl. 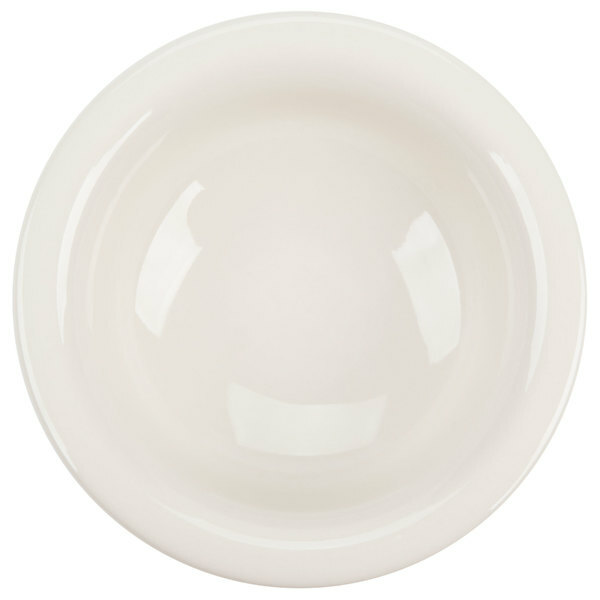 It features smooth sides and an over-sized rim for added visual interest. 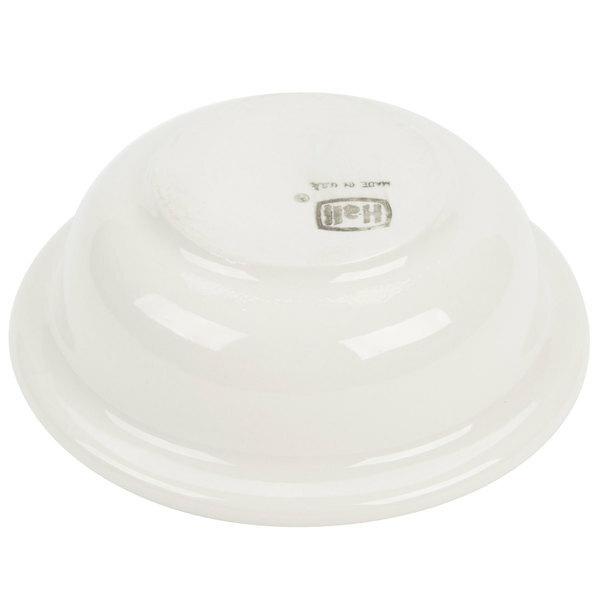 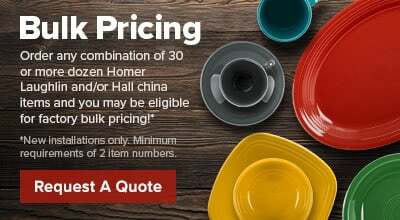 Each Hall China 3900AWHA 5.5 oz. 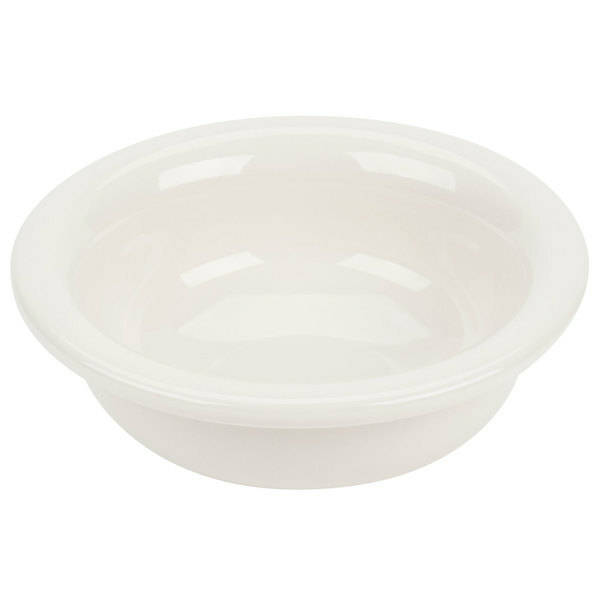 baking bowl is designed to provide the best heat and cold retention available.